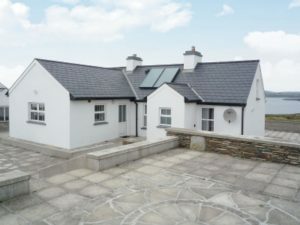 Heir Island Retreat is an entire house with a fully equipped kitchen, a living space, a wet room, an ensuite bedroom (with a double bed which can alternatively be turned into a twin) and an adaptable studio space which you can use for yoga practice, working on art or purely enjoying the view offered of the bay. There are patios at the front and back of the house which allow you to curl up with a blanket and book as the sun goes down in the evening. 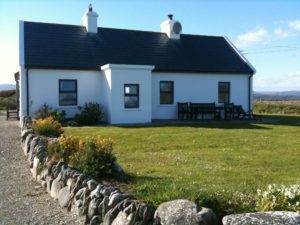 Contact Sarah at sarah@heirislandretreat.ie. 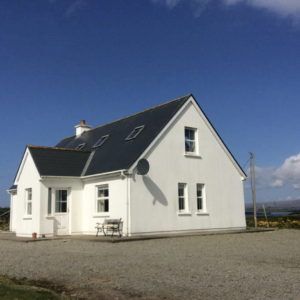 We rent our four-bedroomed holiday home out throughout the year. It sleeps eight and has two double bed rooms and two double single bedrooms. It has a large garden with panoramic views overlooking Roaringwater Bay. You can contact us via email at aoife.heatherfield@gmail.com. 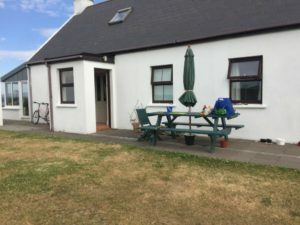 Timmy’s Cottage, a traditional island cottage, refurbished to modern day standards, sleeps 8, double ensuite, double, two bunkbeds, single and child’s single. Quiet location with great views. Available all year. 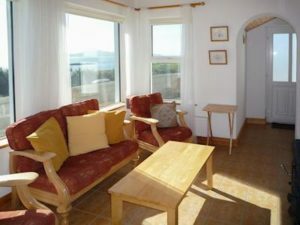 Old Barn, refurbished barn, sleeps 4, one double and two singles, quiet location with great views, available all year.